CHECK WHAT'S GOING ON AT GYMSHARK TORONTO DAY 2 - RIGHT HERE! TOUTED AS THE BIGGEST GYMSHARK EVENT TO DATE, THIS ISN'T A POP-UP THAT YOU WANT TO MISS OUT ON. Come and Lift The City with us, here at 950 Dupont St.
As always, we're going LIVE with an 'As It Happens' look inside. TORONTO, YOU HAVE NOT DISAPPOINTED. It's only 9AM and over 1,000 of you are already here, lining up in full force. So, in the true spirit of Gymshark, we thought we'd go outside and meet some of the people who made our family what it is today. How does it feel being the first people in the queue for Gymshark Toronto? We thought arriving here at 3AM would be way too late, but we're first in line - it's crazy! 3AM! That's insane - are you not cold, you've got no jackets?! No we are, we're cold, hahah! I don't think the majority of us can feel our toes, but we're here, so it's all good! Not long to go until the store opens though! Are you guys local? I'm from NY! So, we're a combination of flights, people driving and local Torontonians! We just became friends - being together at 3AM does things to you. We're close, real close. We LOVE that! So, what are you most excited for now that you're here? VITAL SEAMLESS! Ooh wait, is the new Camo set here? She's been going on about that all morning, hahah! We've been peaking through the windows, we're just too excited! DID SOMEONE SAY PRE-RELEASED ITEMS? All in brand new colours...what will you be picking up this weekend? WHO HAVE YOU COME DOWN TO SEE TODAY? Want to find the specific times that your favourite athletes will be at the store this morning - 10AM-2PM? Gymshark Toronto takes our digital experience to a whole new level in physical form, right here at 950 Dupont St.
6ix cold like Alaska, but the FAM has turned up! With over 8,000 people registered to come to #LiftToronto today alone, this is without a doubt the most surreal event that we've ever hosted. WHETHER YOU'VE TURNED UP ALONE, OR YOU'RE HERE FOR A BIG, SQUAD OUTING - WE'VE GOT STAFF ON HAND TO CAPTURE THE MOMENT. WANT TO FIND OUT WHAT ELSE IS HAPPENING AT #LIFTTORONTO? We've been blown away by the turnout, Toronto - this is honestly, better than we could have ever expected! Due to the small venue size, this does however mean that if you join the queue from this moment on, we won't be able to guarantee you access to the store today. As always, we're so so sorry for any inconvenience that has been caused by this! WE PROMISED YOU AN ENTERTAINING QUEUE. Our athletes will be making their way down the queues throughout the day, so make sure to keep an eye out! AS ALWAYS, DOGS ARE VERY MUCH WELCOME. No seriously, please bring them. THE BIG SCREEN IS BACK. 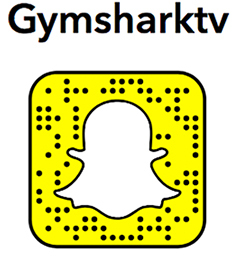 WATCH: your tweets, new Gymshark campaign content and everything in between. #LiftToronto - you know what to do. Want to know which athletes are here this afternoon - 2PM-6PM? Of course you do. If you didn't manage to catch the first group of athletes this morning, they'll be back tomorrow for day 2 of Gymshark Toronto, from 2PM-5PM! THE MAN OF THE MOMENT HAS ARRIVED. Make memorabilia a thing and get something signed by your favourite athlete. BRING THE SQUAD TO THE 6IX. It's a concept which serves the inner child within you well. Mixing the delight of either a strawberry or original bubble waffle with ice-cream and fresh fruit, Golden Bubbles are here to make that wait in the line a little bit easier. Did we mention that it's completely free? Get yourself down to the front of the store, and grab one whilst you still can. With just over an hour to go, the day is winding down but the atmosphere is still electric. Clothes are flying off the rails, tears are being shed and athletes are pumped more than ever to meet you. Let us know how your experience was at #LiftToronto in the comments below! The energy today has been incredible and honestly, we can't wait to see what tomorrow brings. If you haven't got your hands on one already, be sure to pick up one of our exclusive We Lift The City Tees or Tanks this weekend! IT'S TIME TO START SAYING GOODBYE TO THE GYMSHARK FAMILY. Day 1 of #LiftToronto is officially coming to an end. YOU HAVE HONESTLY, EXCEEDED ALL EXPECTATIONS. Missed out on the Gymshark #LiftToronto takeover? Relive the experience and check what went down on Day 1 of the event right here! We'll be back tomorrow at 950 Dupont St. from 11AM.